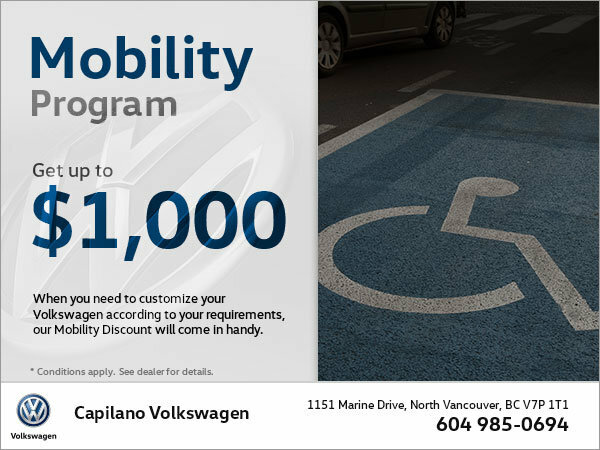 We're proud to offer the Volkswagen Mobility Program to our customers! When you buy an eligible vehicle, Volkswagen can provide up to $1,000 towards purchase and installation of devices to fully benefit from your Volkswagen vehicle. Lift equipment, carriers, hand controls, pedal extensions, and much more assistance equipment are available for your comfort. Adapt your vehicle to your needs today!